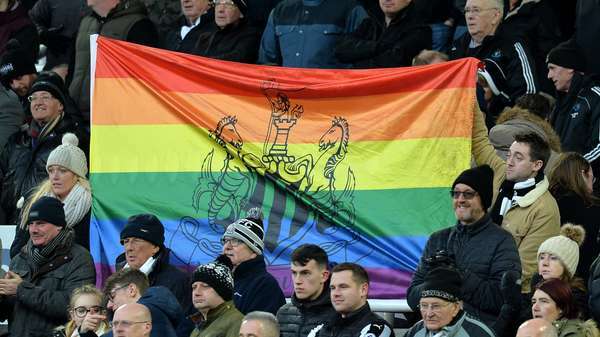 A brand new Newcastle United supporters group formed by members of the LGBT community will be officially launched this weekend to coincide with Football v Homophobia’s month of action. The United with Pride group will be launched with a specially-organised football tournament, which takes place at Walker Activity Dome from 10am until 1pm on Saturday. Teams have been entered from a range of organisations across the city and beyond, representing both the LGBT community, Newcastle United partners and other organisations in the city. The tournament is being organised with assistance from the club’s equality department as well as Newcastle United Foundation, the Magpies’ official registered charity. Newcastle United have been proud supporters of Football v Homophobia for many years, creating a welcoming atmosphere, driving discrimination out of the game and helping to make football for everyone. A spokesperson for United with Pride, said: "We aim to provide a space for LGBT fans who support or visit the club with a fun and friendly atmosphere both inside the ground and out. "Football is for everyone and as a supporters group, we will work with Newcastle United to challenge discrimination of any kind and work towards inclusion for everyone." To find out more about events, meet-ups and useful information, please follow United in Pride on social media at twitter.com/UtdwithPride and facebook.com/UnitedwithPride.